We often discuss budgeting in our firm, and I often write about budgeting because it is such an important topic in any company. As a consulting firm, we deal with this issue at almost every client. Let’s rehash some basics… Why is budgeting important? As properly stated by Ron Real (the author of 13 ½ Strategies for Winning the Budget Wars), “To achieve success in anything, you need two ingredients: a target to aim for, and a way to measure your progress towards it” (more from Ron Real below). Before we go into creating successful budgets, let’s address the common problems with budgets. 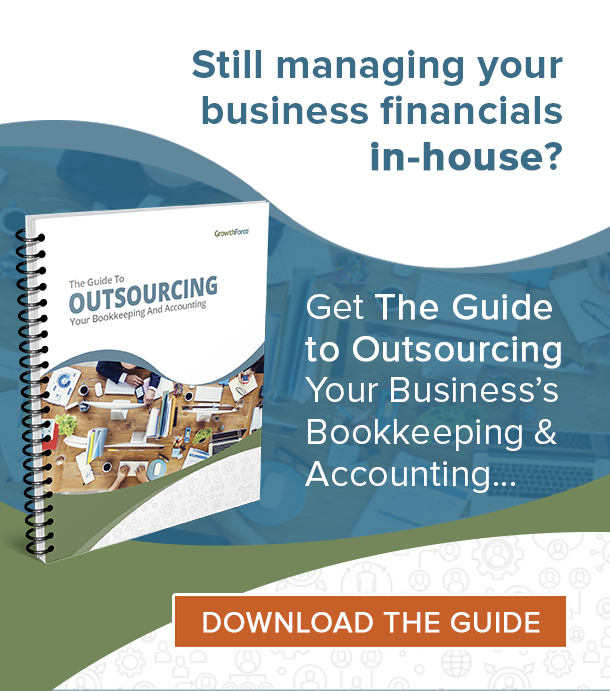 Ready to start creating successful budgets? 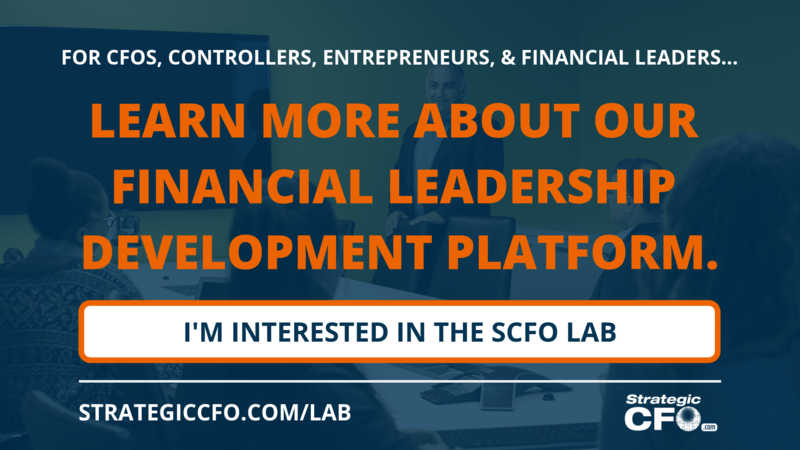 Become a SCFO Lab member and start the Budgeting 101 Execution Plan where we go in depth into common problems with budgeting, budgeting rules, and budgeting principles. Learn more about the SCFO Lab here. Successful budgets are possible, but the TONE STARTS AT THE TOP. If the leadership or Board does not take the budget process seriously and does not hold others accountable, then you will have a problem with the budgeting process. You can build a budget and a budget process that is well conceived, creates a visionary plan, and shares resources. The budget process is very much a team effort, but it often needs to be taught to others in the organization. The tone starts at the top, and your CEO needs an advisor they can trust. Click here to download our free How to be a Wingman Guide to start setting that tone. Successful budgets are created by following rules and principles developed over my 28-year career. You can find all these rules and principles in the Budgeting 101 Execution Plan inside the SCFO Lab. Let’s look at 4 budgeting rules that help create successful budgets. The budget is a tool for decision making. It is not a disconnected document that has little to do with the company’s actual business. Start by reframing your and your CEO’s perspective on the purpose of a budget in a business. Budgeting is a very important management tool for achieving lasting success. Just like the CFO is the wingman to the CEO, the budget is the wingman to all management. Become the wingman to your CEO with our How to be a Wingman Guide. Hint: Be disciplined and follow the plan! There are many other rules to budgeting and basic principles, but we can not cover all of these in this one blog; however, we do cover this topic at length in our Financial Leadership Workshop (Day 4) and our SCFO Lab’s Budgeting 101 Execution Plan. Understanding how budgets really should work is critical. I recently had an executive tell me that he did NOT believe in budgeting because it just meant that people now had the authority to spend everything allocated to them at the end of the year. Unfortunately, this executive was thinking of budgeting like the government thinks about a budget. You have $1,000 for the year, so you must spend it by year end. That is NOT a corporate business budget or budget process. That is a very flawed interpretation of budgeting. If I could use just one word that describes why it is important to have a good budget process, it would be “accountability”. A budget will force your team to be held accountable. But, if that theme of accountability does not start with the Tone at the Top, then you are guaranteed to have a flawed budget process. 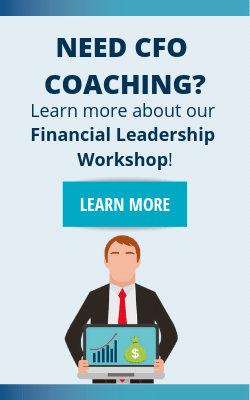 If you are ready to take your financial leadership development to the next level, then look no further than the Financial Leadership Workshop. Registration for the Gamma Series of the Financial Leadership Workshop is now open. Learn more about the program and how you can get started in October 2018. Set goals and objectives that push for growth and efficiency, but keep those goals and objectives realistic. There is nothing more demoralizing than to have a unachievable goal. Start your budget planning process early. For a calendar with year end at December, start no later than August of the current year. Measure your actual results every month versus budget, and hold people accountable. Adhering the these budgeting rules and reframing budgeting to your CEO and leadership team is just one example of how you as the financial leader can act as a wingman. 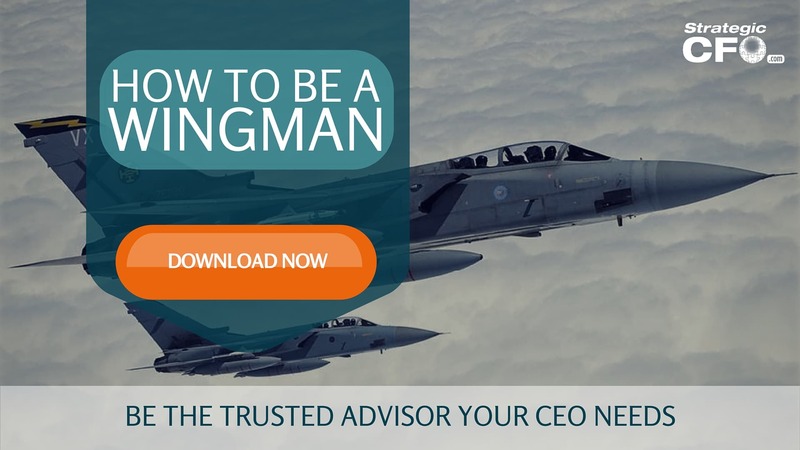 If you want to step up and be the trusted advisor your CEO needs, click here to download the How to be a Wingman Guide.